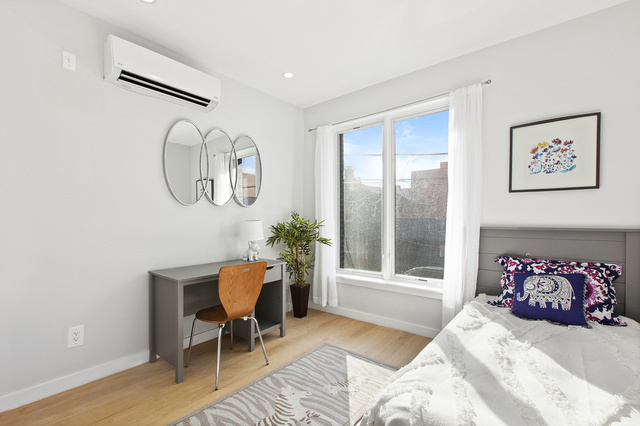 320 Humboldt Street, #2, Brooklyn, NY, New York 11211. Welcome to the exquisite homes at 320 Humboldt! 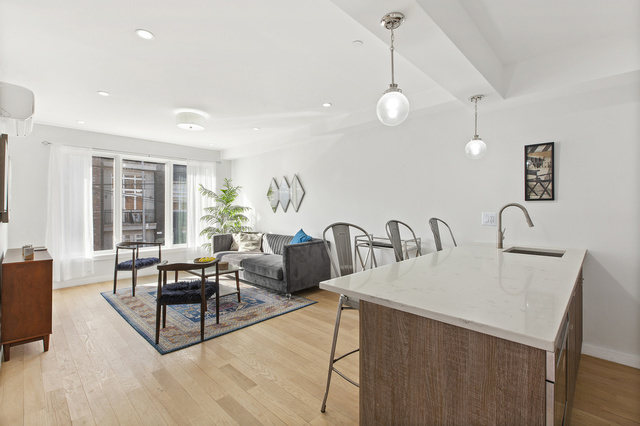 Located in the heart of Williamsburg, this newly developed condominium building boasts modern and spacious residences, high ceilings, oversized windows, hardwood flooring, and stunning finishes. Walk into this 3 Bed/ 2 Bathroom home and lead into your new and stunning kitchen. 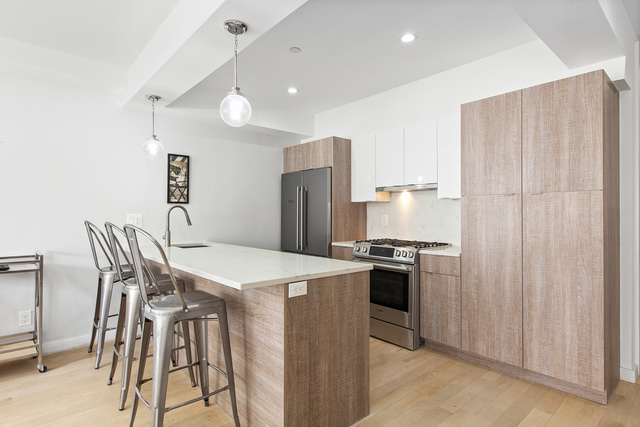 The state of the art open kitchen features top of the line Bosch stainless steel appliances, including a dishwasher, microwave, and four door refrigerator. The modern design of wood cabinets storage contrasts perfectly with the sleek white counter tops and pantry space. Designed for maximum efficiency, the breakfast bar can easily accommodate three bar stools, making the space perfect for casual dining or entertaining. 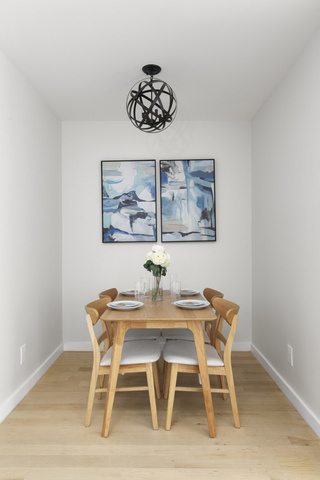 In addition to the breakfast bar, the apartment also features an alcove space perfect for setting up a dining area. The open floor plan flows the kitchen into your gorgeous oversized living space which can easily accommodate a living furniture set. Not only is the living area spacious but it is also accompanied by gorgeous white paned oversized windows, ensuring the common area is always filled with natural light. 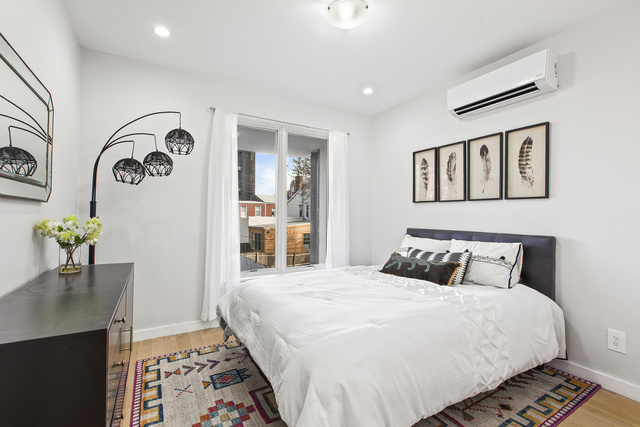 The three bedrooms are set on opposite ends of the living space, ensuring privacy and quiet! 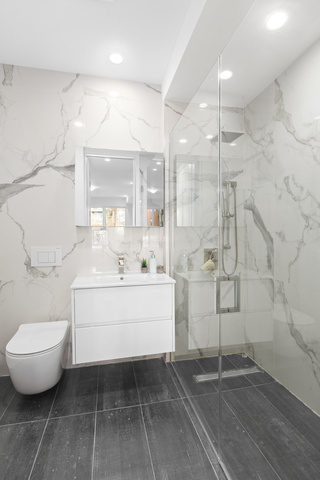 The beautiful Master bedroom is complete with everything needed, featuring an elegant en-suite marble bathroom with a large shower as well as an oversized walk in closet. The second and third bedrooms are also very spacious and each have their own closet space as well. 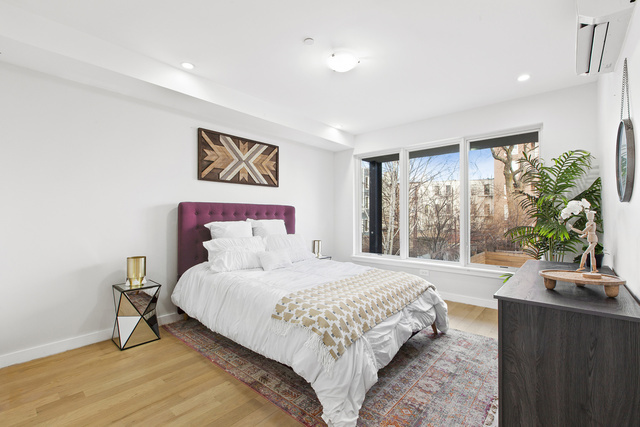 All three bedrooms feature brilliant oversized windows- filling the rooms with bright natural light! 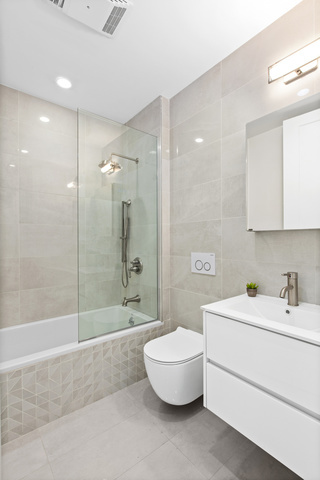 The third bathroom can be conveniently shared by the second and third bedroom- also featuring a gorgeous bathtub, perfect for relaxing! 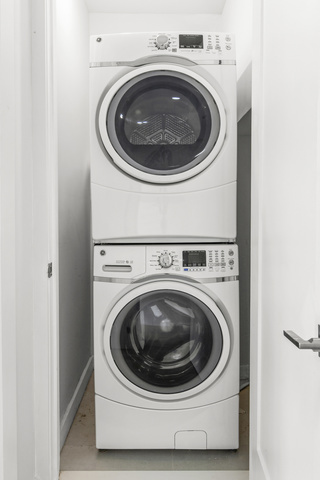 The apartment also has an in unit Blomberg Washer/Dryer. 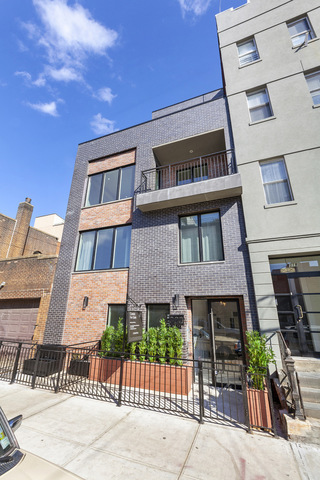 Just seconds from the Graham Ave. L stop, transportation has never been easier. 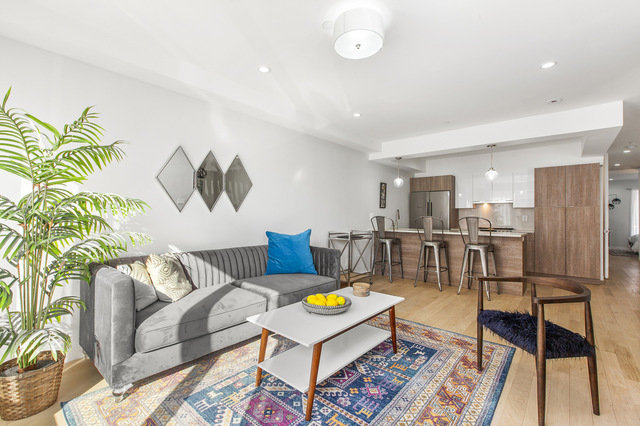 Grocery stores including City Acres and Whole Foods are just a short walk away, as well as many of Williamsburg's best restaurants and hotspots!